I thought I was somewhere else when I first saw your blog, and then I remembered your name switch. Haha, and that was only the other day. I have no memory anymore. But anyway, it looks great!! Love the addition of spinach into this ice cream!!! Fantastic recipe Ramona! Love the new look and your pictures are mouthwatering as ever. The clever and creative twist you put on the ice cream is fantastic! 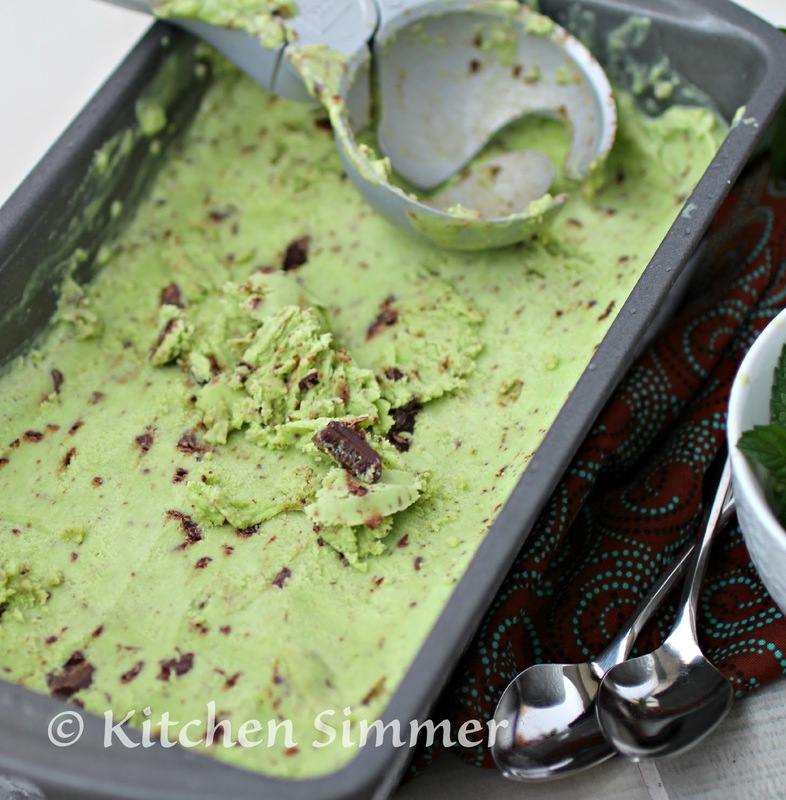 I've made a lot of ice cream in my time but never with spinach...but why not? I love it in my smoothies and I love ice cream even more! I need to make this! 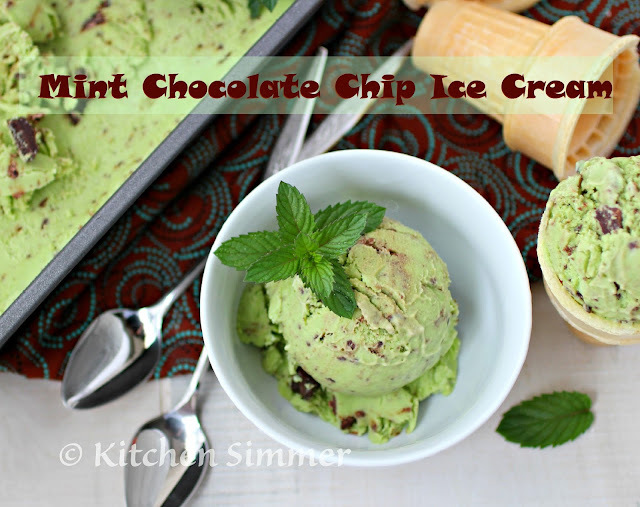 Chocolate chip mint is my go-to when my belly is upset from eating something funky! I'd love to be able to make my own! Thanks for visiting! :) It's such an easy ice cream and I love mint and chocolate together. Spinach in icecream!!! neat! Do you think I could replace the mint extract for fresh mint leaves? 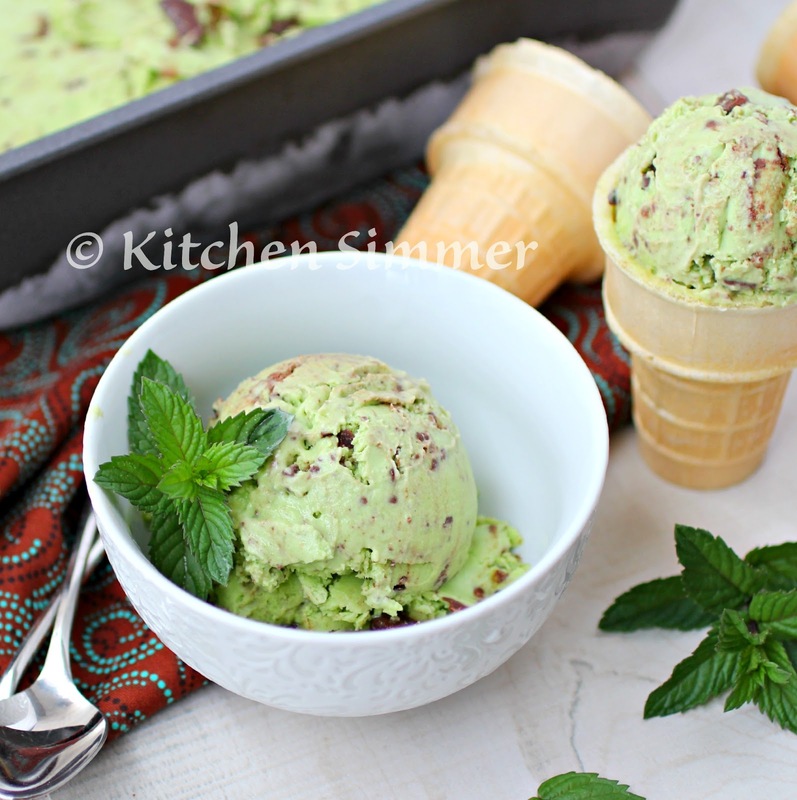 This has amazing color - I'm excited about spinach in icecream. Oh my, this sounds delicious, and I can easily make this low-carb. Thanks...bookmarking for future reference! Genius! This looks great! Mint chocolate chip has always been my favorite ice cream flavor. It's so clever to add the spinach for color and nutrients. 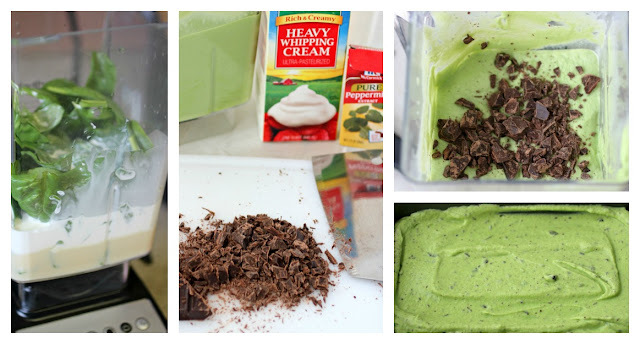 I actually wouldn't mind an ice cream that tastes like spinach. I love spinach and eat it by the bagful! Thanks for the recipe. Pinning to try later! I love this idea of the added spinach ,very clever!!! 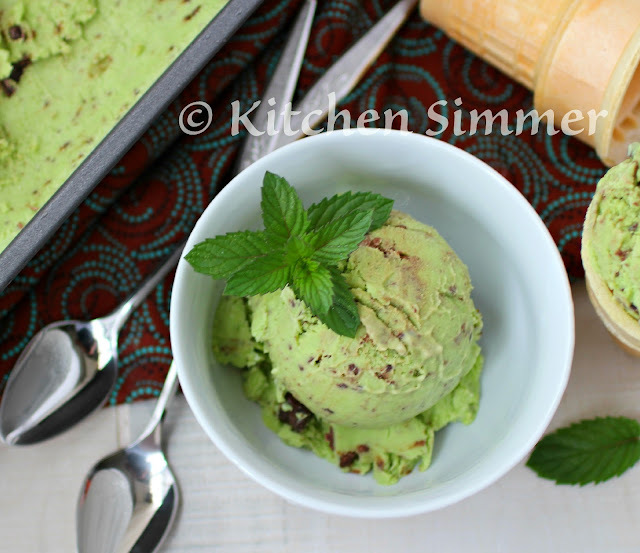 Spinach in ice cream? Now that's a first! :) I love it that you made ice cream guilt-free! It's a little guilt-free.. but so worth it. :) Thanks MJ! Yum! I cannot have dairy, but I would love to try and make this with coconut milk. It looks so delicious! Mmmm...mint chocolate chip is one of my favourites. I would never have thought to put spinach in it, great idea!